Few companies in the financial sector have applied the method of organising and delivering work for as long, or as successfully as ING. Australia’s biggest financial institutions are rolling out business-wide scaled-Agile, hoping to better respond to customer needs and continuously improve their products. Pioneered by the likes of Google, Spotify and Netflix, few companies in the financial sector have applied the method of organising and delivering work for as long, or as successfully as ING. Indeed, ING was name-checked by ANZ CEO Shayne Elliott as inspiration for the bank’s own agile shake-up earlier this year. ING began the transition of its delivery from waterfall to Agile two years ago. The move included splitting and recombining the Product, Business Analysis, Programming, Testing and Project Management departments into integrated Domains and Scrums, and changing working practices to run sprints that are typically time-boxed to two weeks. The results speak for themselves: products and services are delivered faster than ever before with speed-to-market up 50 per cent. New features can be delivered within five weeks of conceptualisation. The Australian division of the Dutch multinational is now looking to the future, seeking to implement Agile across the entire business value chain, taking in operations, compliance and beyond. 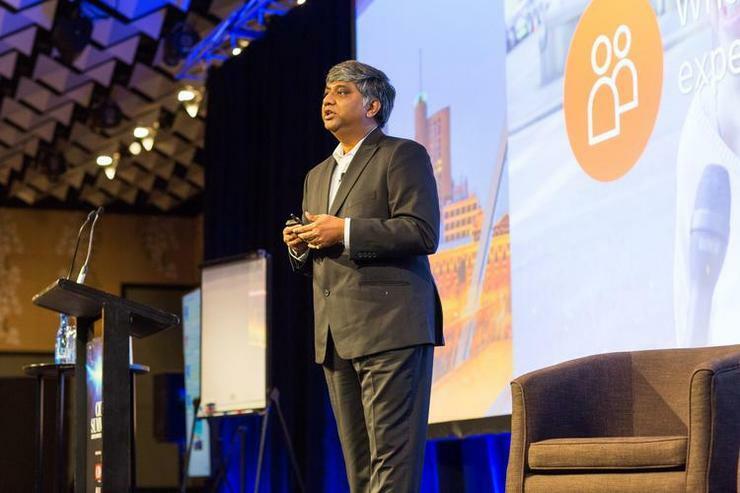 “This year our focus is going even further,” explains ING Australia chief information officer Ani Paul. Paul joined the company in March from Indian life insurance company Exide. His priority has been to evolve and expand the existing Agile approach across the wider business to further improve delivery. This is what the industry calls BizDevOps. “We are taking the agile approach to a business-wide mode where teams across the entire business value chain, including areas like Operations and Compliance are engaged via the Agile process. IT teams and Business combine into what we call Tribes, operating in the ‘BizDevOps’ model, and employing an Agile way to achieve faster delivery,” Paul explains. “The changes have included strengthening the technical and functional supervision, mentoring and support for technical roles within delivery tribes; strengthening connections and communications with business counterparts; and encouraging accountable leadership through the adoption of our new ‘Obeya-room’ stand-ups,” he adds. ‘Obeya’ from the Japanese meaning "large room" or "war room" refers to a form of project management used first by Asian companies (including Toyota) and is a component of lean manufacturing and in particular the Toyota Production System. Paul and his team are currently introducing new matrix structures to allow technical staff to be grouped into chapters, and groups of like-minded platform colleagues to be grouped into Centres of Excellence. This speedy approach is already yielding results. Over the last year ING has delivered several new products and features to customers, including Android Pay and Apple Pay, their new Orange One credit card, Home and Contents Insurance, and most recently their Everyday Round Up savings tool. Everyday Round Up, is a digital money management feature that helps INGs customers to reach their savings goals. With Everyday Round Up, card and mobile-pay purchases made through the ING Orange Everyday Account are rounded up to the nearest $1 or $5 and the extra amount is automatically shifted into an ING Savings Maximiser account where it earns interest. The feature, which was launched in September, had more than 45,000 customer activations in the first three weeks. This rapid adoption reinforced the strength of our innovation process that is designed to build products and features that customers really want. To complement their push ahead with Agile delivery, ING has also pioneered the PACE innovation approach, which combines their customer focused design thinking activities with Agile delivery in a seamless process. “Delivery can’t operate in a vacuum” said Ani Paul, “It is just an extension of the design process, and hence the principles and practices we use when finding out what customers want, needs to be carried all the way through until the product is in customers hands, and then even beyond this”. This involves structured and extensive customer engagement to validate concepts, through to user testing and piloting to keep improving the delivery along the way. “Ultimate speed is achieved when design thinking, lean start up, and agile delivery are brought together in a seamless process. We’re showing how this can be done with PACE and getting faster with every iteration”.